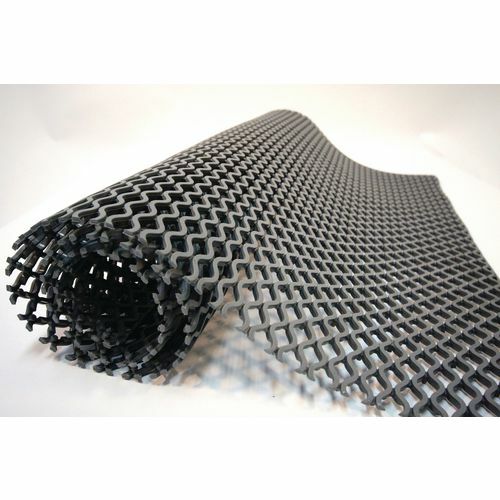 Open, diamond pattern matting gives muti directional slip resistance. Underside studding gives exceptional water drainage. Easy to clean, roll up and move. 1mt wide runs, available in 2 mat lengths. Weight 2.8kg per sq, metre.